Viking Cruises: Where Will Viking SunSail in 2019? Viking Cruises: Where Will Viking Sun® Sail in 2019? Viking Sun® will continue to sail the globe on the company’s second World Cruise, which will span 128-days, five continents, 21 countries and 44 ports, with 10 port overnights. Departing on January 3, 2019, this will mark Viking Sun’s second voyage around the world. Read on to learn more about the ship’s World Cruise. Where Will Viking Sun® Sail in 2019? 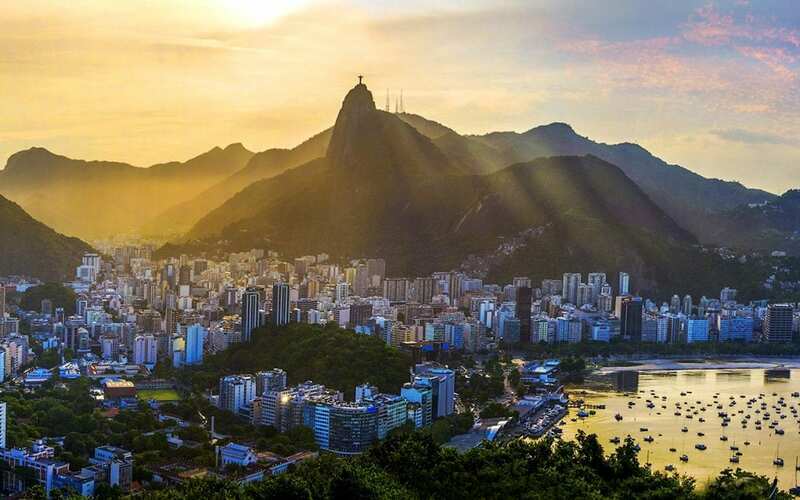 Sailing from Miami to London, the new 2019 World Cruise itinerary allows you to explore South America and the islands of the South Pacific; call upon ports in Africa, from Cape Town to Dakar; and cruise the Strait of Magellan, Tasman Sea, and Indian Ocean, before concluding in London. Port Stanley, Falkland Islands: Islas Malvinas—This remote archipelago, also known as Islas Malvinas, is comprised of nearly 200 small islands and home to less than 4,000 people. Renowned for their maritime history, guests can learn the rich history of the Falkland Islands while visiting the capital, Port Stanley, and experience the abundant wildlife of the surrounding waters including penguins, dolphins, seals, and orcas. Maputo, Mozambique: Wildlife Abounds—While visiting this Indian Ocean port, guests can experience the preserved Portuguese colonial architecture and local markets in this historic city, before venturing to Kruger National Park for an overnight safari and a chance to view the “Big 5:” lions, African elephants, African leopards, Cape buffalo, and rhinoceros. As with all Viking itineraries, you’ll receive a complimentary shore excursion in each of the 44 ports and free unlimited Wi-Fi; World Cruise guests also receive Business Class airfare and all gratuities and service fees, along with an extensive list of added-value included features in their cruise fare. Classified by Cruise Critic as “small ships,” Viking’s ocean fleet features a modern Scandinavian design with elegant touches, intimate spaces, and attention to detail. For instance, you have the option of All Veranda Staterooms or Explorer Suites. The latter are two-room suites ranging from 757 to 1,163 sq. ft. that offer expansive views from wrap-around private verandas as well as the most amenities and privileges of any category on board. Viking’s itineraries are designed for explorers, and their World Cruises are the most-intensive and culturally immersive journeys available in the industry. Ships are small to get you closer to your destination, with more time in port and more overnights. Contact a Travel Planners International agent today about booking your Viking Ocean Cruise on Viking Sun®.